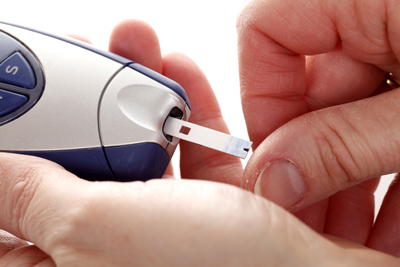 The specialist nurse in the Diabetic Clinic will perform your annual check and blood test, management of co-existing diseases that impact upon diabetes, retinal eye screening services and referral for insulin support where needed. All doctors offer advice on family planning and most methods of family planning. Also several of our doctors fit intrauterine devices (coils) and contraceptive implants. All of our practice nurses can advise you about the different types of contraception we can offer and signpost patients to a doctor if this is something they would like to discuss further. Regular planned contraception is the simplest, most efficient way to avoid an unplanned pregnancy. nnually, during October we run a programme to vaccinate patients against influenza. All patients over 65 or in the 'at risk' categories are eligible for immunisation. 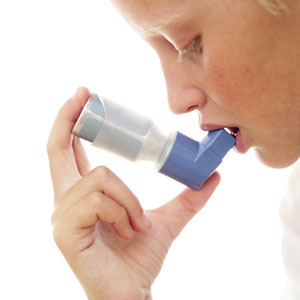 The categories are Respiratory Disease including Asthma, Diabetes, Heart Disease or Renal Failure. For more information on flu vaccinations visit the NHS Immunisation Information clinic. Our Health Walks begin every Tuesday from the Surgery at 2.15 pm. Appropriate footwear is essential as some walks involve uneven terrain and stiles. 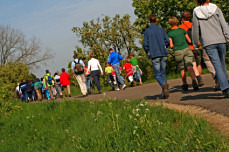 We ask that 'new walkers' complete a health questionnaire before their first walk. We now aim to provide 2 walks starting at the same time each Tuesday. The 'Greyhounds' walk for approximately two to four miles. The 'Strollers' walk for approximately half to three quarters of a mile. We go out in all weathers so dress appropriately for our British weather! 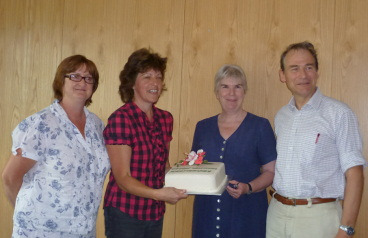 The Upton Walkers are now in their 8th year which is a fantastic achievement. For more information contact: Hilary/Fred 01684 592175 email: hilarystephens@hotmail.co.uk. This is a clinic that runs for looking after people who have ever had a heart attack or who have angina. It is also for those who have had a stroke, suffer from high blood pressure (hypertension), high cholesterol or other conditions that may increase the risk of heart disease. If you have heart or blood pressure problems then you probably already know that there are lots of regular checks and monitoring that need to be done. This includes blood pressure checks, blood tests etc. There have been so many advances in medicine over the past few years that looking after these conditions has become quite complicated; the idea of this clinic is that everything can be done under one clinic so it is easier for you to understand and easier for us to make sure everybody is getting the right treatment. The clinic also allows more time for advice about diet, exercise, help with stopping smoking and other things you can do to look after your health. Our nursing team provide appointments for regular blood pressure checks and these can be booked with the Health Care Assistant or in the Hypertension Clinic. The Practice provides a Minor Injuries Service for patients. All patients with minor injuries will be assessed and treated on arrival by a nurse or doctor as appropriate. We do not have the facilities to treat some moderate or any severe injuries. Several of the partners perform minor surgery, including cryotherapy, for a variety of conditions. Your registered doctor will discuss the options available with you. Appointments are required for every procedure. NHS Health Checks provided by your primary care team at Upton Surgery are available to book now. To book your NHS Health Check - Telephone (01684) 595043. Everyone is at risk of developing heart disease, stroke, type 2 diabetes or kidney disease, but these diseases can often be prevented. An NHS Health Check provided by your primary care team can help you by assessing your risk and giving you personalized advice on how to reduce your risk. The NHS Health Check is for adults in England between the ages of 40 and 74 who are not already receiving primary care for a cardiovascular condition. Clinics, by appointment, will be held every Wednesday. To book an appointment telephone: (01684) 594806. Community Midwives are contactable on (01684) 577664. Health Visitors hold a clinic at the Riverboats Children's Centre every Tuesday afternoon from 1.30pm to 3.30pm. 6 - 8 week checks are performed here at the Surgery every Wednesday at the same time as the nurse immunisation clinics. Counselling services are available following a GP referral on Thursday afternoons and alternate Friday mornings. If you need to use your Salbutamol (blue) inhaler more than twice a week then it may imply your asthma is poorly controlled. We also monitor patients who suffer from Chronic Obstructive Pulmonary Disease (COPD). This includes patients with conditions such as bronchitis, emphysema, "farmers lung" and bronchiectasis. If you have had a cough for more than 6 weeks, experienced any shortness of breath or wheeze then please call us to arrange some breathing tests (Spirometry) and a review in the chest clinic. From 1st April 2016, Worcestershire County Council will only fund a smoking cessation service for pregnant women. Your GP will no longer be able to prescribe you with products to support you to stop smoking. If you want help to stop smoking, you can go to a local pharmacy for information and advice about quitting and nicotine replacement therapies. If you have any questions regarding the change to the stop smoking service, these need to be directed to Worcestershire County Council. The GPs participate in the shared care scheme. A substance misuse counsellor attends the Practice weekly.